I told my dad about my goal of reading a bunch of Louis L’Amour books in 2016. He replied that he had “a few” L’Amour books and some other ones I might be interested in. 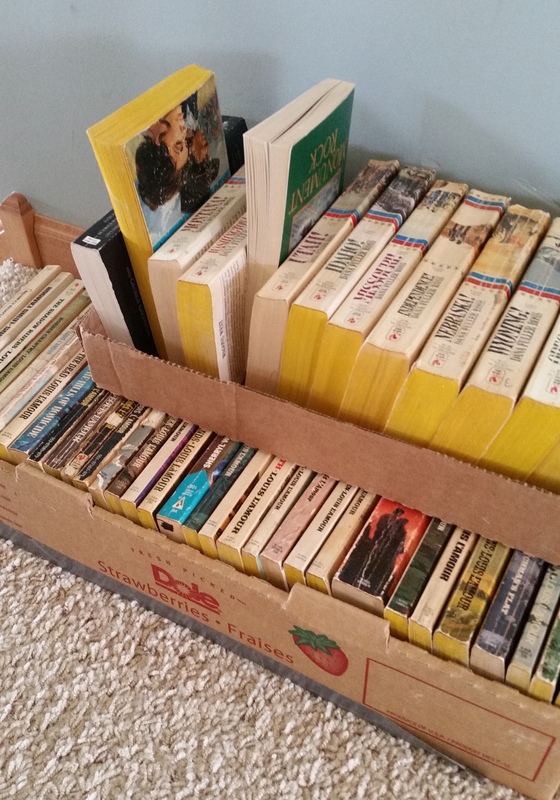 After nearly 38 years of knowing my dad, I’m not sure why I didn’t translate “a few” books as two grocers flats worth of books, but I’m grateful all the same. Previous postFriday Fare: Hello April!